Howard Leight, Max 30 Ear Plugs NRR = 33 100 Pair/BoxHoward Leight, Max 30 Ear Plugs NRR = 33 100 Pair/Box, Item # Max 30, Max 30 earplug's new enhanced contoured shape is easier to insert and resists backing out of the ear canal. Get them now for only $25.95 at Environmental Safety Services. 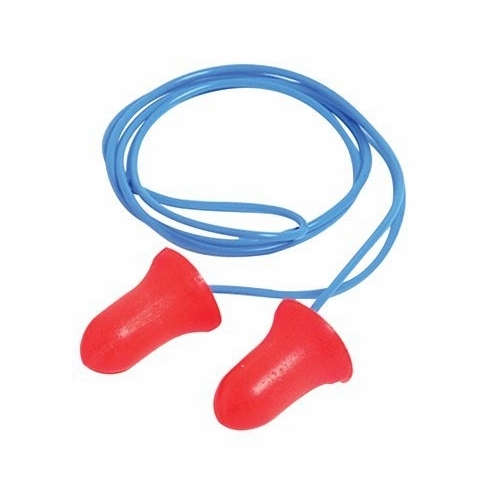 Max single-use, polyurethane foam earplug is the world's most popular polyurethane foam earplug. It offers superior noise-blocking performance, and it's contoured bell shape is easier to insert and resists backing out of the ear canal, while its softer foam delivers superior long-wearing comfort. Its smooth, soil-resistant skin prevents dirt build-up and helps deliver a NRR of 33dB. Workers who need protecting hearing equipment demand the best protection and comfort available in an earplug - the Max. •	100 pairs per dispenser.